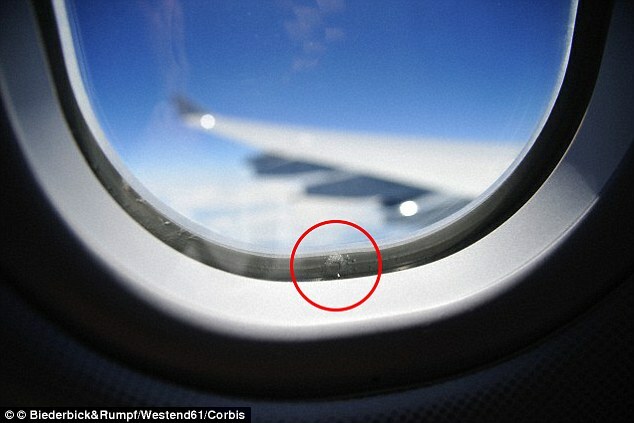 Why plane windows have the little hole and what for? Perhaps you are among those who will ask what the function of a small hole in the bottom window of the plane at the time saw it. According to Marlowe Moncur, technology director at GKN Aerospace, while answering the same question from Robbie Gonzalez of io9. Problem 'breathing holes' in the window that is useful as a drainage valve. Refer to a patent filed by DaimlerChrysler Aerospace Airbus in 1997, explained that the airways helps keep the external atmospheric pressure in the layer window. On airplanes, air is pressurized by a machine that compresses air while circulating through a number of fans. To keep the cabin air pressure stable, even when it is at altitude, the air flow is kept in the cabin using the outflow valve. It works similar to a tire swelling. On the plane, high-pressure air pumped into the cabin and the air is derived from the compression stages in the engine. A number of sensors measure the pressure in the cabin and this valve releases the air at a certain speed in order to maintain the air pressure. For example, when the aircraft was parked, the valve opens. Then the valve closes when the plane started to take off. The air pressure at sea level is about 14.7 PSI. For comparison, the cruising altitude of the aircraft is approximately 9,150 meters and 12,200 meters, the air pressure of about 4.3 PSI. Because of the lack of oxygen at that altitude, the aircraft must be pressurized so comfortable and safe for passengers. Philip Spiers, a principal at Advanced Structural Testing Centre at the University of Sheffield Advanced Manufacturing Research Centre (AMRC) under the auspices of the Boeing told the Daily Mail that at the height was not enough oxygen molecules to support life. Low pressure lowering boiling points in the human body and when at the edge of space. It can boil the blood and tears. Aircraft did not fly that high, but the height of flight is usually higher than the peak of Everest and the plane cabin draws air from the engine. Aircraft engines compress the air in front it to create thrust, but, as explained by Spiers, these machines also seeped some part of air to reduced the humidity and pumping it into the cabin to provide air pressure.